The organized snowmobile food-chain starts with you, an individual club member. You and your club belong to a state association. Your state association, in turn, belongs to the American Council of Snowmobile Associations (ACSA) and they are part of the International Snowmobile Council. Similarly, the Canadians are represented by the Canadian Council of Snowmobile Associations (CCSO), the Swedish by the Swedish Snowmobile Owners Federation (SNOFED) and the Russians by the Russian Snowmobile ATV Association (RSAA). ACSA, CCSO, SNOFED and RSAA are all dedicated to providing leadership and support to organized snowmobiling in their respective countries. They facilitate effective communication and cooperation among snowmobiling organizations, government entities and the snowmobile industry in the pursuit of common goals such as promoting safe and environmentally responsible snowmobiling. They act as national coordinators and spokespersons for the snowmobiling community and are comprised of delegates from the various state snowmobile associations. Representatives from the national organizations and representatives from the state and provincial organizations form the International Snowmobile Council (ISC) which meets yearly at the International Snowmobile Congress (also called ISC). 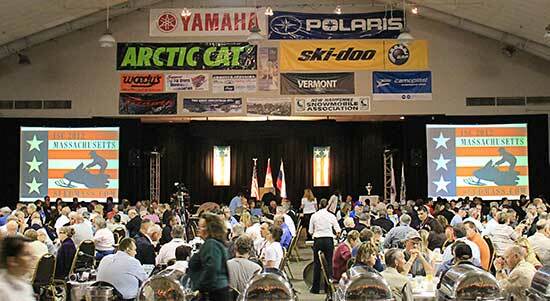 The International Snowmobile Council is dedicated to promoting safe and responsible snowmobiling. It provides a communication forum and a means of addressing issues that are common from an international perspective. To simplify things a bit, the International Snowmobile Council is broken down into three chapters: a Northeast Chapter, a Midwest Chapter and a Western Chapter. The individual chapters, comprised of state associations, provincial associations, SNOFED and RSAA have their own set of officers and hold their own meetings to discuss regional issues. You are welcome to sit in on most (but not all) of these meetings; however only official delegates can vote. You can now see where the reference to “Alphabet Soup” originated. You will hear many conversations utilizing these acronyms flying about with dizzying speed during your time at ISC 2012. Don’t worry; you will eventually get comfortable dining on the “soup.” This brings up another point. You will hear English, French, Swedish and Russian spoken at various times during your stay at ISC 2012; but you don’t have to worry since the language of snowmobiling is universal and understood by all with just a little help, patience and persistence. So there you have it, a brief guide to the organizations that will be meeting at ISC 2012 in June. Want more details? Check out the Alphabet Soup slideshow at the ISC 2012 webpage at www.sledmass.com.